Cake and crazy hats are essential for the perfect birthday parties when you are raising kids. We had some real fun and crazy ones when the kids were growing up. 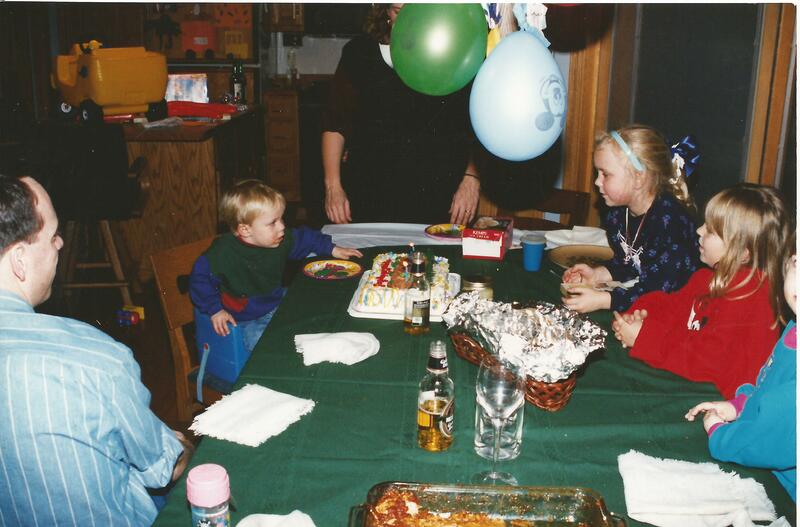 I remember being exhausted after the birthday parties, but they were important and so it was worth it. Making a big deal about birthdays was not only fun, but it gives kids a sense of belonging in the family and lets them know they are important and appreciated. My parents taught me that it is not about any big expensive gifts, and the parents do not have to go broke throwing the party. It is about the love, about showing them that you are glad they are a part of your life and making the kids feel special. Many times when I was growing up we had party hats made out of newspaper. My Mom baked a cake from scratch and our birthdays were special. 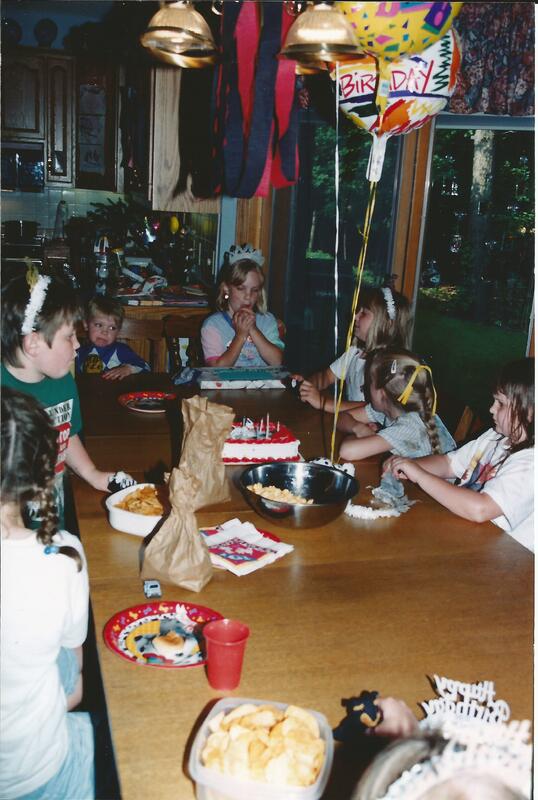 I remember making my own kids cakes from scratch when they were really little and we always had the birthday crown that was pulled out for the birthday child. We still have that crown. It looks a little worn, but it represents years of special days from the past now that my kids are all in their twenties. Once the kids were a little older and wanted things like a Ninja Turtle cake, I left the baking and decorating to Target. That took some of the burden off of me. I had to order the cakes ahead, and of course there was the deciding by the birthday child where they would have their party. Sometimes we had them at home and other times we went somewhere else. The ones held elsewhere still took a lot of planning on our part. We went to the YMCA a number of times and had swimming parties in their water park. Those were nice, because the lifeguards watched the kids and the staff served the cake and we could bring in food. We also had a number of bowling parties and the Circus Pizza birthday parties with the creepy singing animals. I could never figure out why the kids liked those big stuffed mechanical bears and animals playing music. Those animals looked like a nightmare waiting to happen to me but the kids liked them and so we had multiple parties there. One of my favorite birthday memories was when the purple Dinosaur Barney was popular. Sara really was a fan, so I paid someone to show up and be Barney in the costume. He showed up at the door, in all of his large purple glory and had a special small stuffed replica of himself for the birthday girl. My sweet Sara was really young, maybe four or so at the time, so she was quite hesitant, especially when he came in to play games with the party goers. He had them in a circle in no time and was playing ring around the rosy. I felt so proud to have thought of this and was feeling really great as I looked around the room and the kids all had big smiles on their faces, until I saw Sara. She looked overwhelmed and I could see that she was about to burst into tears. Good old Barney was trying to treat her special because she was the birthday girl and be beside her and hold her hand in the circle game. Well I guess it is one thing to watch the big purple dinosaur on TV and another to have him standing beside you trying to hold your hand in the game. Sara was by now not just hesitant, but crying because she had had enough of the dinosaur. I went to her rescue and held her hand and reassured her. She did stop crying and played games, but she did not want to get near B arney. We did get some pictures of her with Barney, but I had to hold her and she would not look at the camera or Barney. The picture is priceless. It is so funny how we as parents think something will be the perfect thing for our kids and even though we know them well, we get it wrong. Oh well as I say, a lot of parenting is going with the flow. She loved that stuffed Barney and she actually talked about it later, like she really liked having Barney at her party, but you could not tell at the time. We made a big deal for our own Birthdays as well. Joe would make a big deal about mine and take the kids shopping or they would make things at home and I would do the same for him. We made cake or sometimes picked up a Treatza Pizza from Dairy Queen. We would wear the birthday crown, when we could find it – another problem sometimes in a busy household. 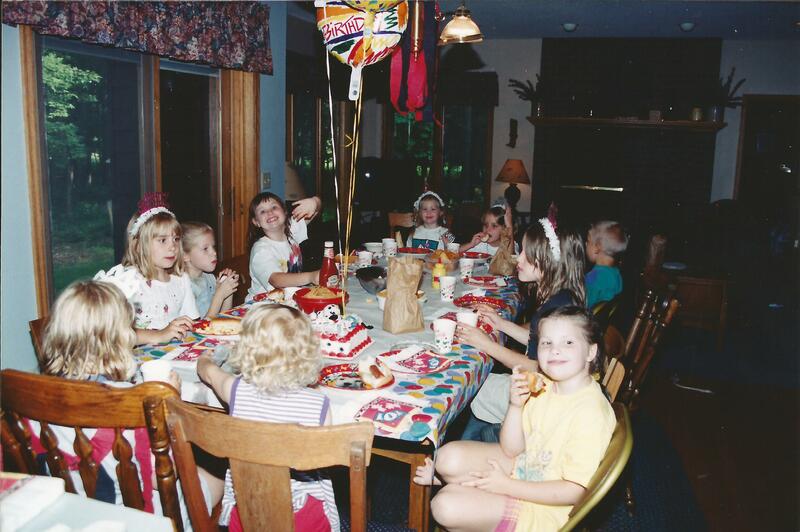 We had so many birthday parties over the years, at so many different places, that the memories sometimes all run together now. What I do know is that we worked really hard as parents to make sure that our kids felt their birthday was important. We also worked really hard to make sure they appreciated all the gifts they received and to show gratitude for the good friends and loving family that they had. They were never allowed to be rude or mean to other kids and they were never allowed to not be thankful for whatever gift was given. We tried to make sure that they knew that it was not about the gift, but the thought that counts, as they say. a household full of kids, appointments, grocery shopping, sports and school activities to try our best to make their birthdays special. Making a big deal about a child’s birthday shows kids how much they are loved and appreciated. It proves to them, through actions, that they are part of a family that loves them and thinks they are important. It teaches them to appreciate friends and family and to appreciate the thoughtfulness of every gift. It teaches them to make other’s birthdays special too, to keep the love flowing to friends and family. Kids need a sense of belonging and need to know that they are important. It is important to make the cake, bring out the crazy hats and make the day special.